Dallas police arrested a man who, along with others, savagely beat a trans woman in the middle of an apartment complex while dozens watched. The crime happened in the middle of the day at Royal Crest Apartments, where the victim, Muhlaysia Booker, lives. Booker was involved in a minor traffic accident prior to the attack, Buzzfeed reports. 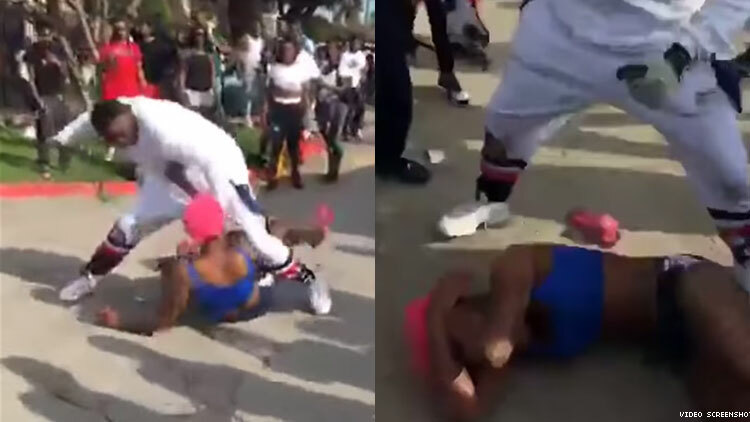 A cell phone video of the beating shows Booker speaking to the crowd before a man wearing white hits and kicks Booker, who drops to the ground; more unidentified men then punch and kick her. After begging for the men to stop, a group of women eventually drags Booker away. She suffered facial fractures and an arm injury. Police arrested Edward Thomas, a 29-year-old local man, for his part in the crime. Before and after the assault, Booker was peppered with insults, including misogynist and antigay slurs. Dallas police told Buzzfeed they are investigating the case as a possible hate crime. Transgender people face heightened risks of violence, especially transgender Black women. This year alone, two trans women — Ashanti Camron and Dana Martin — were murdered.